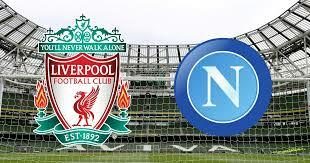 Liverpool hosts Napoli in a fantastic game from Group C of the Champions League. This is a decisive match for both teams. Most likely one of these two teams will leave the competition after its end. Right now Napoli are topping Group C of the competition with 9 points won. PSG are second with 8, while Liverpool are third with 6. This means that Liverpool must aim to win at any cost at the Anfield, if they want to progress to the 1/8-finals. And considering that most likely PSG will win against Crvena Zvezda in the other game, Liverpool must beat Napoli with a result which will give them an advantage in the direct clashes. In October these two teams met at the Stadio San Paolo and the match ended with a 1-0 win for Napoli, thanks to a goal from Lorenzo Insigne in the last minute of the game. So far Napoli are the only team in the group which is unbeaten. They have a record of two wins and three draws. In their previous game in the group Carlo Ancelotti’s boys enjoyed a 3-1 win at home against Crvena Zvezda. Marek Hamsic scored once for Napoli, while Dries Mertens added two more for Napoli. Liverpool are currently third in the group, but they could eventually finish first or second, depending on the results on Tuesday night. In this group everything looks possible right now. 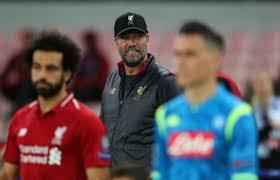 Jurgen Klopp’s team lost three of its last four games in the group, which is the reason why Liverpool could say goodbye to the competition. In their previous game in the group the Reds lost against PSG in Paris. James Milner scored for Liverpool from a penalty kick, but before this Juan Bernat and Neymar scored for the French champion. That’s what we had to say about the Champions League clash between Liverpool and Napoli.